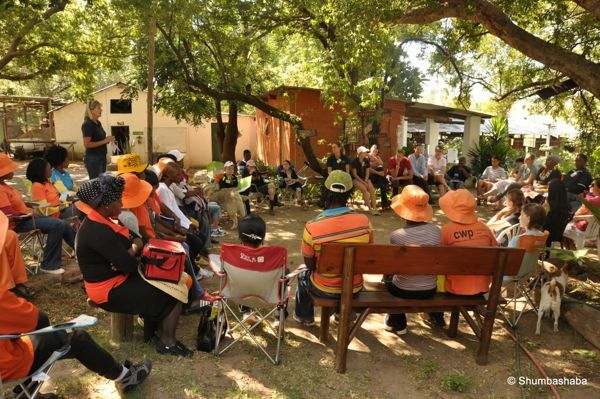 Volunteers are necessary for the sustainability of all the Shumbashaba programmes. 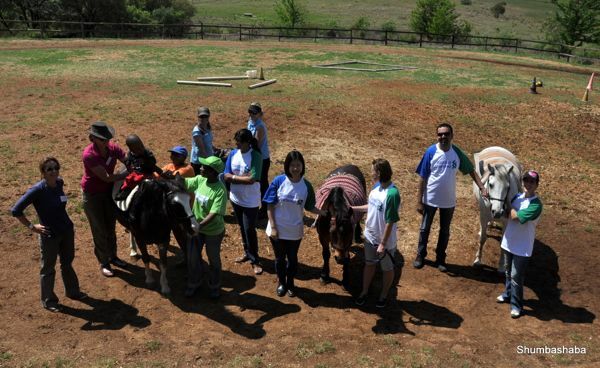 Community Therapeutic Riding Programme: Here adults and children with disabilities, both physical and mental, receive the therapeutic benefits of being on the back of a horse. We require people to help with administrative support (such as co-ordinating the volunteers), the preparation of the ponies/horses, as well as to lead horses/ponies and side walk the riders e.g. for our cerebral palsy children, 3 volunteers are required per child – a leader and two side-walkers. Community Development Riding Plan: This involves youngsters, some with and some without a disability, who would like to learn to ride as a sport and recreationally. These sessions take place during the week in the afternoons after school. This plan also includes a Development Vaulting Programme that takes place on Saturday afternoons offering children the opportunity to vault – this involves ground-work that entails similar movements found in gymnastics in preparation for vaulting on the back of a moving horse. Some 30 or so children participate weekly. Here we find that the children require a light snack and something to drink. 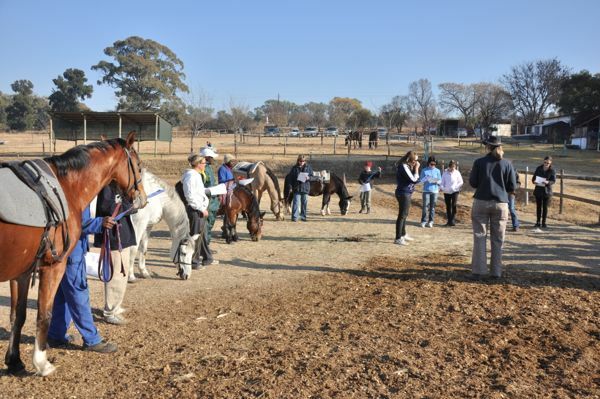 Equine Assisted Psychotherapy & Counselling Programmes: With our ground based equine assisted therapy programmes (non-riding) mental health professionals and horse specialists trained in the EAGALA methodology (www.eagala.org) are required as facilitators. 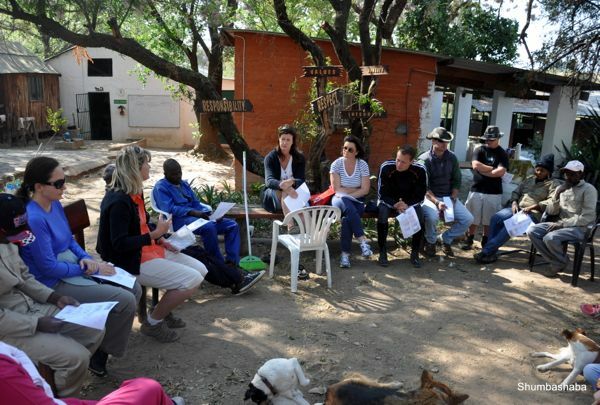 In order to participate as “facilitators” in this program we require that you have completed at least the EAGALA part 1 training and are either qualified or working towards qualification as a recognised mental health professional or horse specialist as per the EAGALA definitions www.eagala.org. In addition volunteers are required to help feed the children, as participation and learning cannot take place on an empty stomach, and to assist with administrative tasks. These ground-based sessions involve up to 40 children at a time and typically take place during the week in the afternoons after school. 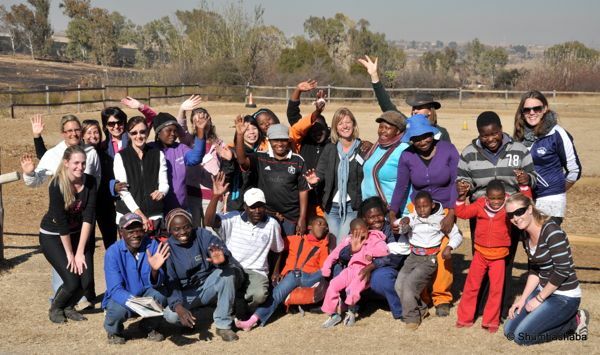 This is by no means a definitive list of opportunities available to volunteers and we invite you to offer whatever skills and resources you have that will add to and benefit the aims and objectives of our Shumbashaba Horses Helping People programs. For further information Click here to download the Volunteers Handbook. Click here to download Volunteer Registration and Indemnity form. Click here to download Participants Registration and Indemnity form.